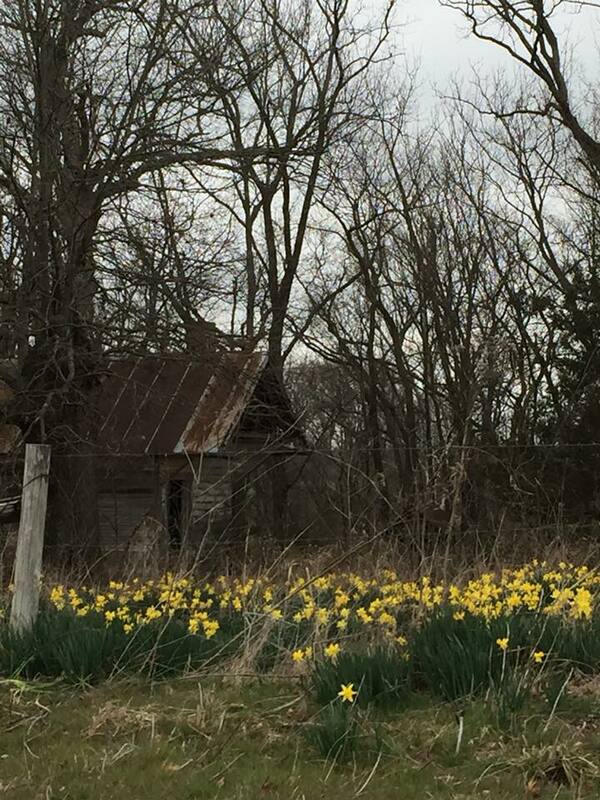 I always look forward to spring and the blooming of the daffodils. We didn’t have any snow this winter, but did have some super cold temperatures. Now that it’s spring, we have had several hard freezes and even a small amount of snow. Unfortunately it was enough to take out the daffodils (along with the blooms of my peach and pear trees.) Sigh. I’m glad I enjoyed them when I did. 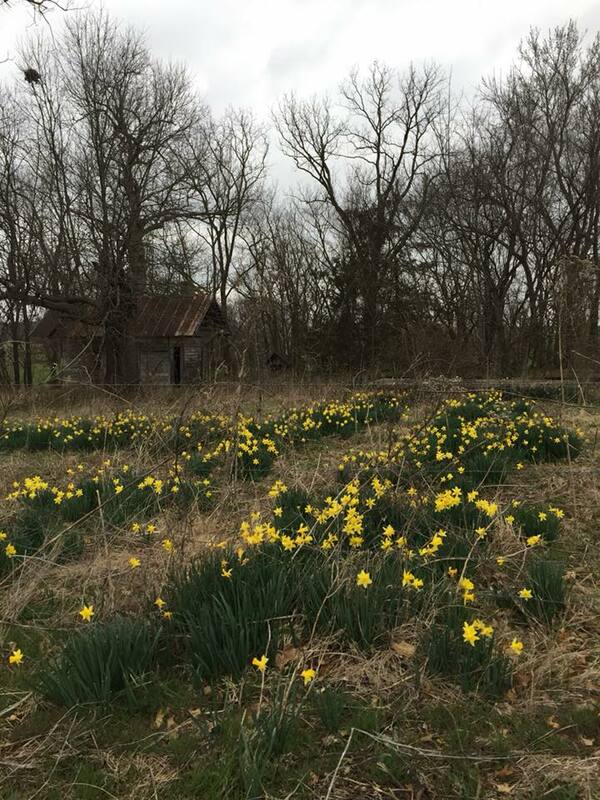 Where I live, daffodils are often spotted randomly in the middle of fields or on the edge of creek banks often signally the site a previous homestead. Do you see the path that leads to the old foundation? 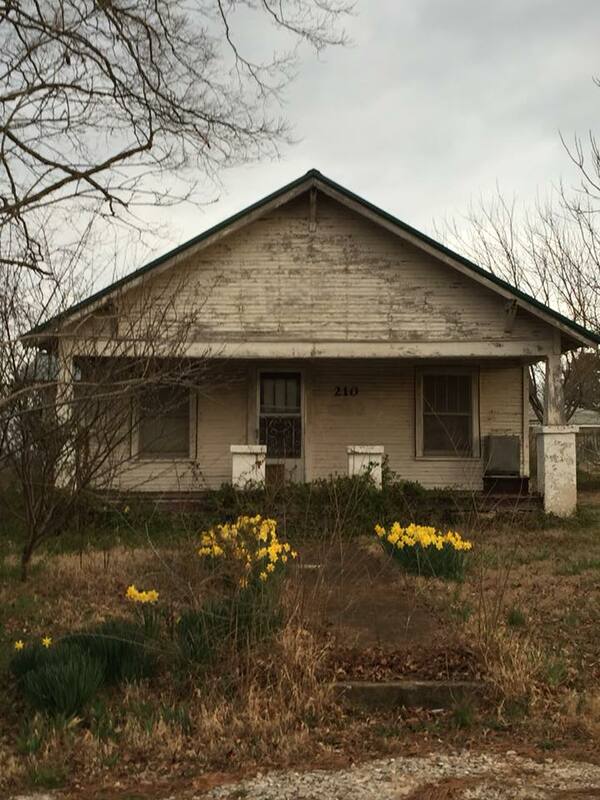 Many of the daffodils I have were rescued from a property about to bulldozed to build a new building. Over the years, they have multiplied and have been transplanted throughout my gardens. 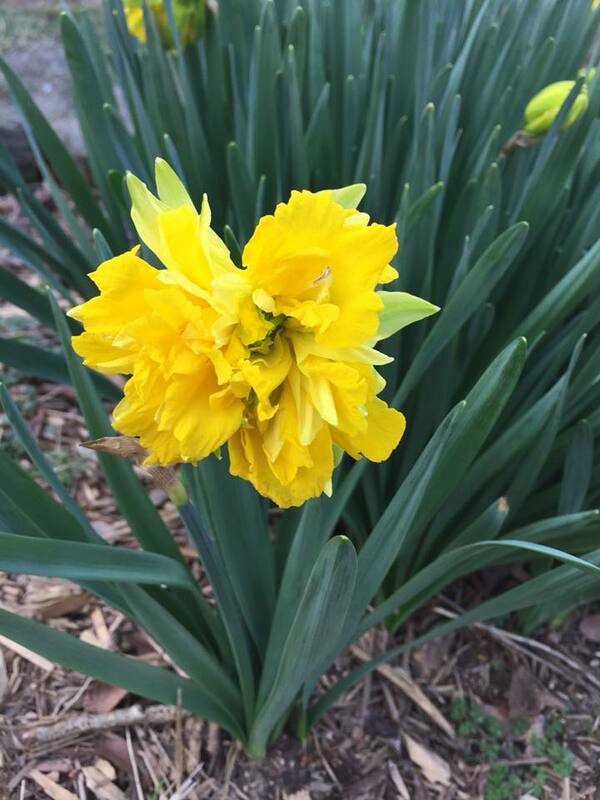 Daffodils are bulbs, so to enjoy these spring flowers, they need to be planted in the fall. I have planted as late as December but it is much easier if the ground is not frozen. The bulbs do need quite a bit of chilly weather to produce the best blooms for spring. It’s also important to remember that after the flower has faded, it can be cut off but leave the foliage to die back naturally. This process can take up to six weeks and is giving the bulb energy for next years blooms. To hide the ugly, dying foliage, I like to plant my daffodils behind my other perennials. Since they are the first to bloom in my garden, by the time the foliage is dying, the other perennials are popping out of the ground and able to hide the unsightly yellowing leaves. 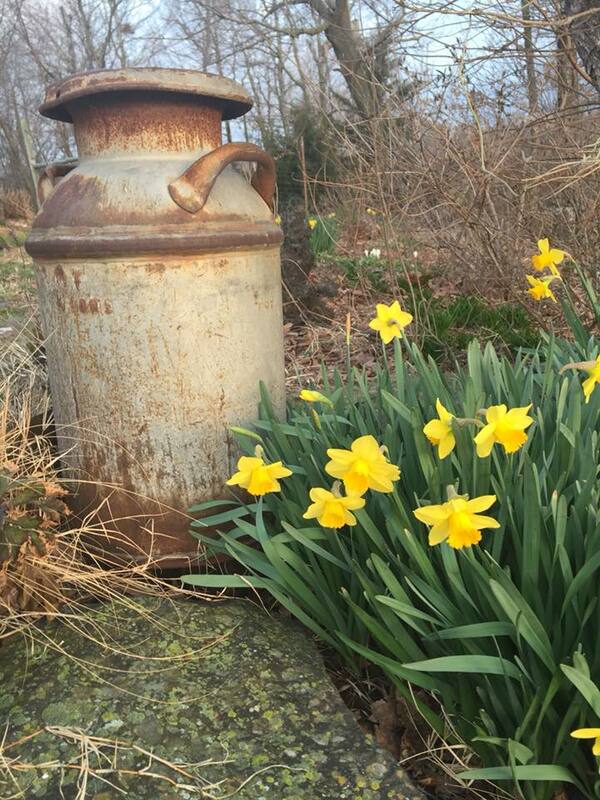 If you notice your daffodils are not blooming like they should, it’s possible they are too crowded or too deep. 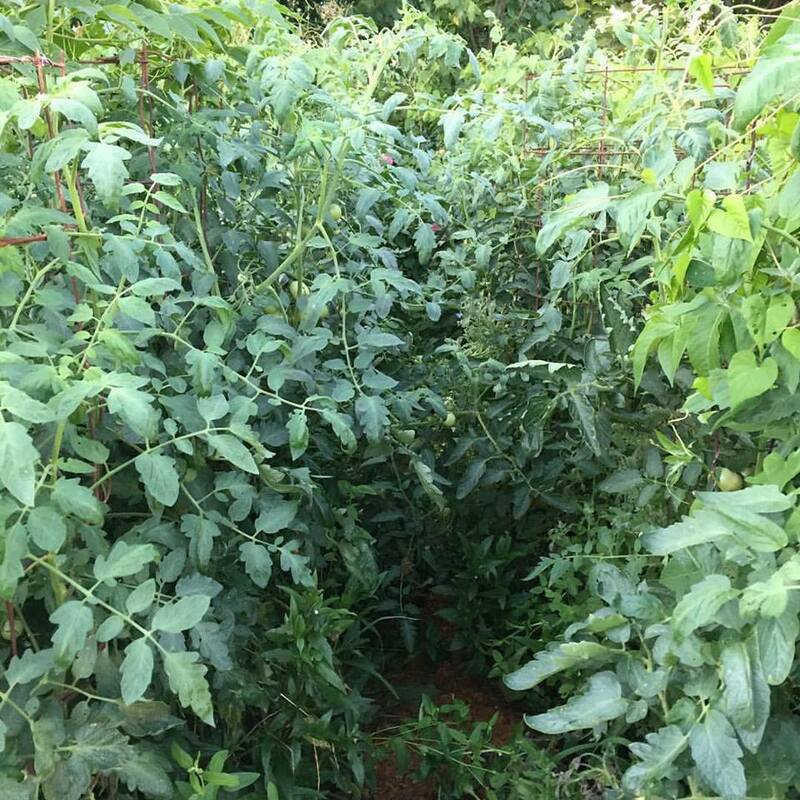 After the foliage dies back and before they disappear in the landscape, I will dig them up, thin them out about 2-3 inches apart and about 3-5 inches deep and replant the remaining in a different spot. 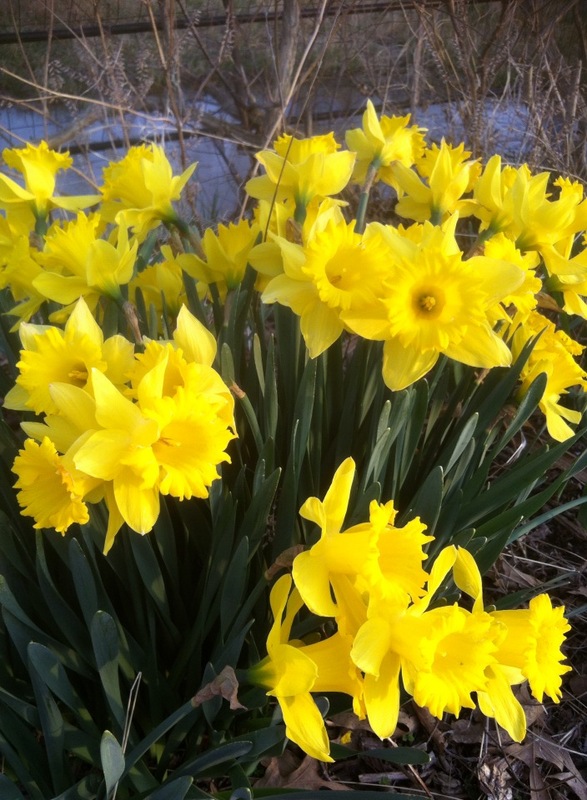 A great trait of daffodils is they are not liked by deer or squirrels. So far, I’ve not had any deer or squirrel problems in my garden (and there are plenty of both). 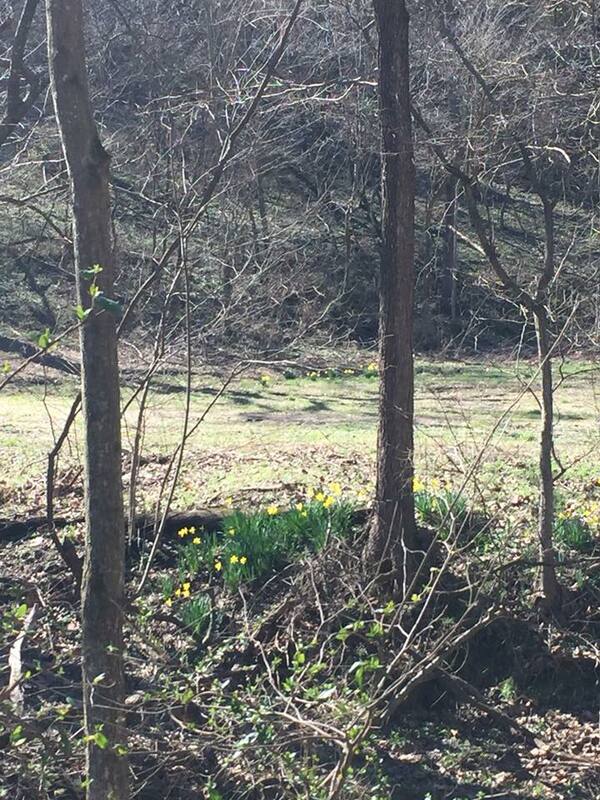 Maybe it’s luck, maybe it’s the dog, or maybe it’s the daffodils. Whatever the case, I sure enjoyed them while they were here and they are such a welcome sight after a dreary winter. Instead of making unrealistic resolutions at the first of the year, the new challenge is to find one word to focus on. One word that tells people who you want to be or how you want to live. Some common words chosen, for example, are courage, persevere, and strong. A few weeks ago, I found a word and realized this is the perfect word for me (and fun to say!) and what I needed to focus on for the year. Wabi-sabi (侘寂) is a concept in traditional Japanese aesthetics constituting a world view centered on the acceptance of transience and imperfection. The aesthetic is sometimes described as one of beauty that is imperfect, impermanent, and incomplete. Social media gives me the opportunity to show only the best flower or vegetable in my garden. In reality though, this is not so. Imperfection, flawed beauty, and shortcomings abound all around me and I’ve got to learn to be ok with that. For any person who has strived to grow organically (as I do), imperfection is actually quite common. My tomatoes might have crack or two and my peppers will most likely be misshapen but I can assure you, the flavor is unmatched. 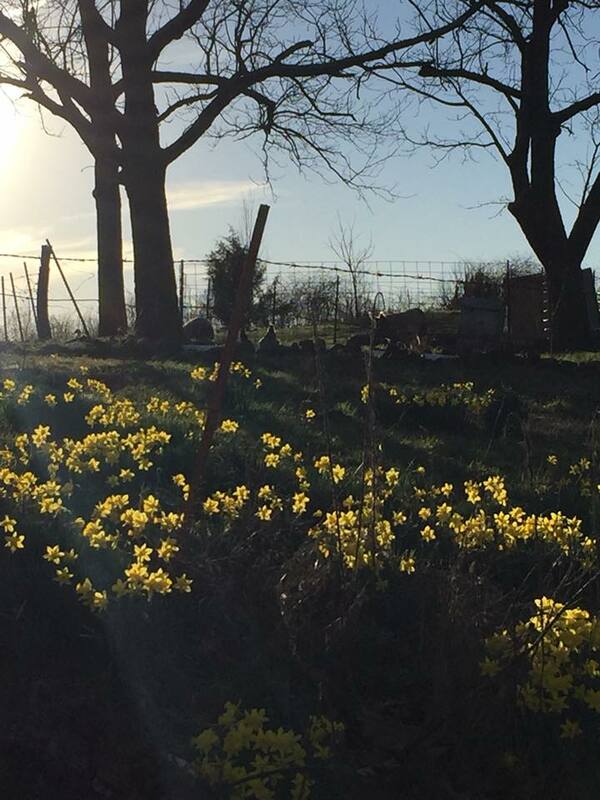 I have strived to create an environment on my farm where bees forage on healthy flowers, butterflies can lay eggs on chemical-free plants, and beneficial bugs help fight the bad bugs. 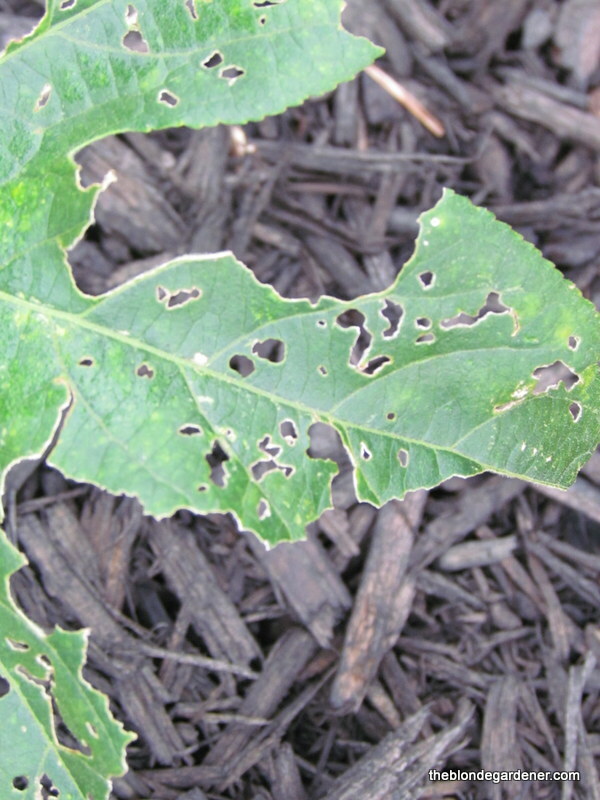 This means I will probably have holes in my foliage, Bermuda grass as a ground cover, and a bug or two (or twenty) to deal with. For personal likes, I have been practicing wabi-sabi my whole life as I am naturally drawn to old, worn, chipped and rusty things. I love a good flea market find, dilapidated barns and houses, and heaven help me if I see a piece of furniture with chippy paint. The imperfection makes it more interesting for me and I love incorporating some of these finds in my garden. Wabi-sabi almost sounds like an excuse to let my garden get out of hand, and I’m sure that is not what the true meaning is about. I can assure you I will be fighting the bermuda grass and bugs this summer, but I vow I will not let those imperfections define me as a gardener. 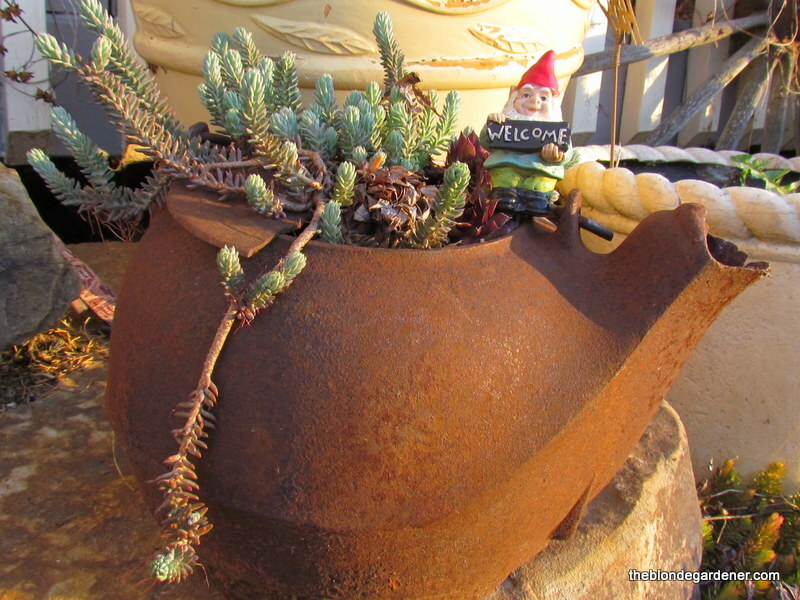 So, as I venture through 2018, my type-A personality will strive to embrace the mantra of wabi-sabi in the garden the best I can. Where imperfection is accepted and shortcomings are not dwelled upon. Every gardener has their weakness. For some, it’s roses. For others, tomatoes. For me, a flower or vegetable moves to the top of my list if I can save the seeds or take a cutting for next year. Fall is the time for most seed saving but, once you learn how easy it is, no flower is off-limits at any given time of year. I did a video of this for Hometalk last year if you want to take a look. 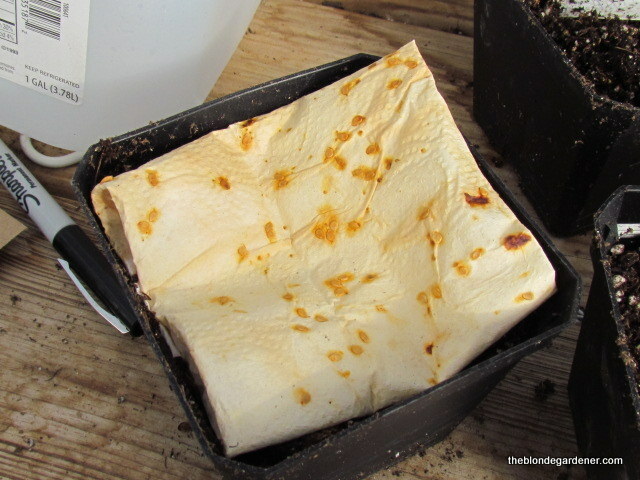 I will warn you it’s about forty minutes long but I do cover how to save a lot of different seeds. Once I realized how much money I could save by saving seeds and doing cuttings, I became obsessed with it. Some of my favorite seeds I like to save are sunflowers, zinnias, and marigolds, Oh, wait! I can’t forget about dill, basil, celosia, and Allium. Oops! There’s also coneflower, black-eyed susan, tomatoes, fennel, and milkweed. Seriously, the list is very, very long. When I tell you I’m obsessed, I am not joking! Sweet potato vines spread very quickly and fill in bare areas very well. They don’t mind full sun but I noticed they needed extra watering during our extreme summer heat. Last year, I put them in a bed that gets afternoon shade and they really surprised me how well they did. Here is an easy way to make these cuttings. First, cut off a good section of the vine. Then cut this into individual sections about five-six inches long. As you are doing this, put the cuttings in a container of water. After the container is full, take them inside and let them sit, or leave outside in a shady, protected place. After about a week, tiny roots will form and this is the signal they are ready to be potted. If the weather’s still nice, keep them outside and let the roots get established. When the forecast starts showing temps close to the 40’s at night, bring them inside and put in a sunny area until spring. By spring, the root system will be well established and, after all signs of frost are gone, they can be planted. I hope you will try taking some cuttings this year. I need other people to be as hooked as I am! The other evening I was walking through the butterfly garden in search of monarch caterpillars, when my foot managed to get tangled in a vine. 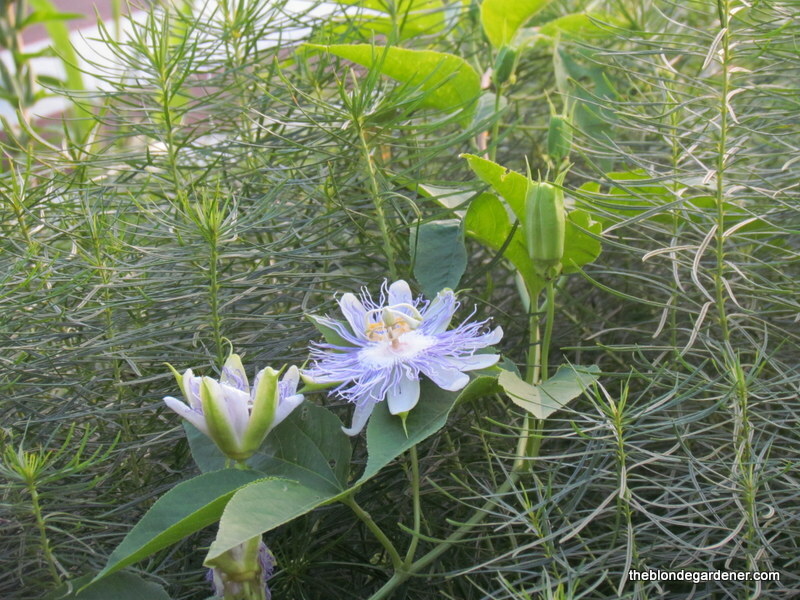 Looking down, I noticed the beautiful passionflower vine (Passiflora incarnata) sneaking its way into the garden path. Before I go any further, be advised this particular passionflower can be invasive. 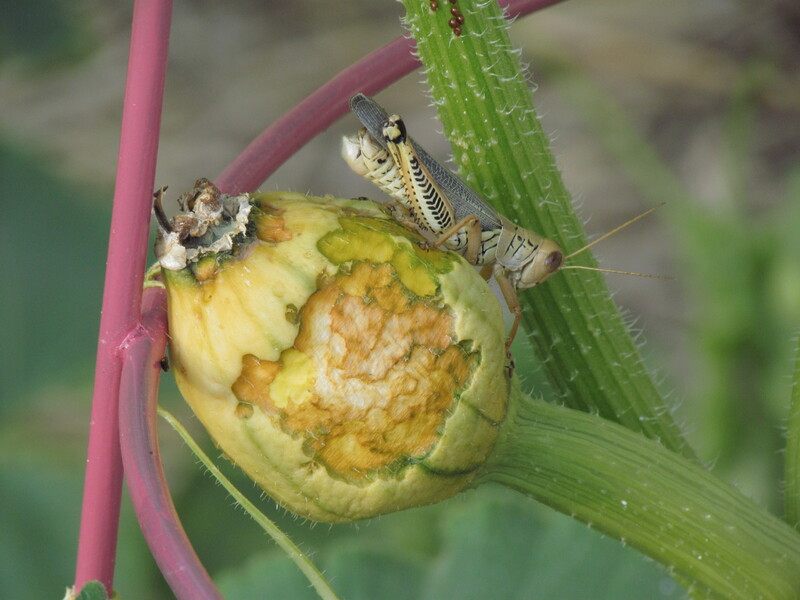 It can take over a field in no time if not kept in check. There are many species of Passiflora but I can only give you insight on this one. The thing is, I knew this going in and still planted it and thought I could contain it. Silly me. 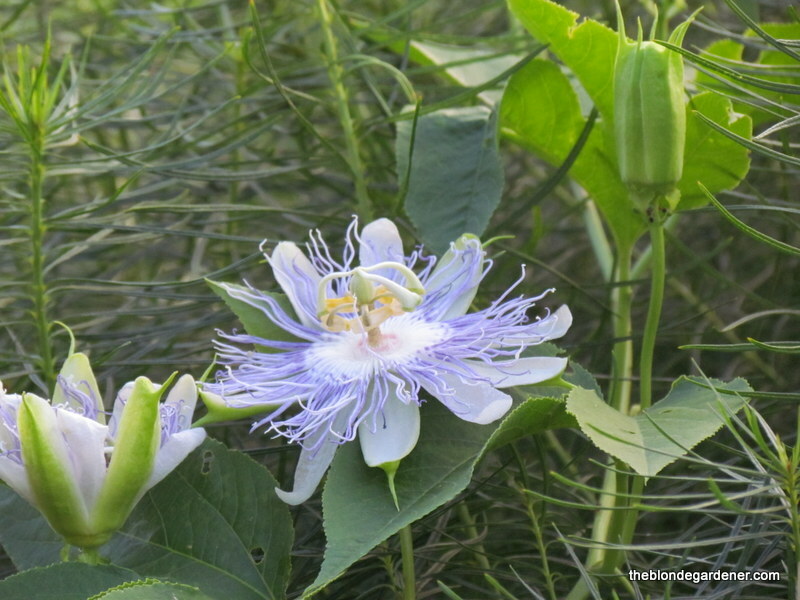 As with a host of other plants, passionflower has been used medicinally for years. It is said that Native Americans used the leaves of this plant to make a tea to treat insomnia. Being an insomniac for years, I thought I should research this more. After seeing terms like possibly unsafe in large amounts (what’s a large amount?? ), possibly safe taken short-term (how long?? ), and likely safe when taken with normal amounts of food (define normal), and could cause short-term paralysis (ok, I’ve heard enough.) I decided to skip the experimentation of passionflower and stick with my regular non-sleep habits. True or not, I found it an interesting twist on such a pretty flower! I almost forgot about the fruit! 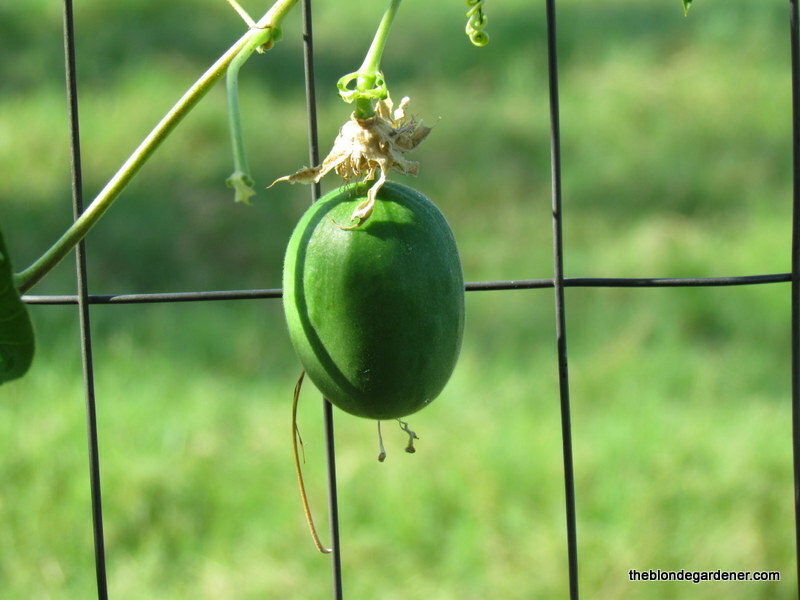 After it flowers, a small fruit called a maypop will form. These are also edible but when I cut one open, it was hollow. Then I ran and washed my hands fearing deep sleep and short-term paralysis would set in before I could make it to the house. Not really but once you learn these things, you begin to question the motives and intentions of every plant. The main reason I wanted this in my butterfly garden is because it’s the host plant for the Gulf Fritillary butterfly. The caterpillar of the Gulf Fritillary is small and spiky and you know they are there when you see holes in the leaves. and about 10 days later we came home to this. Passionflower will grow in full sun to part shade in zones 5-9. It can vine up to eight feet long and (for me) rarely comes back in the same spot. My plan was to plant it on my fence and let it twine and twirl to its heart’s content. It’s plan was to be footloose and fancy free in my garden path. Consider yourself forewarned and informed if you decide to give this vine a chance. So far, it hasn’t been too bad to keep in check but I definitely don’t want to turn my back on it.